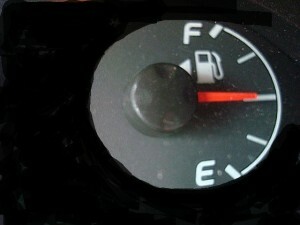 Roy C. Asks: How Do I Get The Best Fuel Mileage Out Of My Car? Well Roy there are quite a few things you can do to help you squeeze some extra miles per gallon from your vehicle. 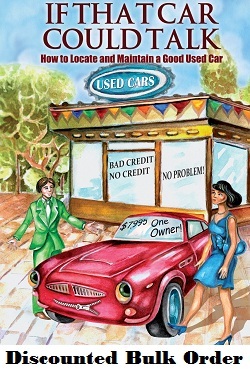 The first thing you should do is obvious,own a fuel efficient vehicle. The second thing to check regularly is your tire pressures. Keep your tire pressures up so there is less rolling resistance between the tires and the road. Make sure that you do not over inflate or under inflate your tires. 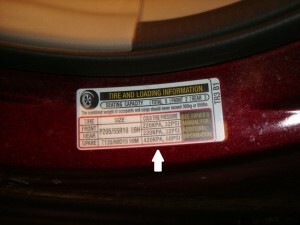 Your car should have a label with the recommended tire pressures on the drivers front door or “B” pillar. to avoid driving around taking care of your other errands with a trunk full of groceries! Have your mechanic check to see if any of your brakes are dragging. If so have your brakes disassembled and serviced to eliminate any dragging issues. Make sure that you have a good battery by having it tested. A weak or bad battery can cause the alternator to work harder than it needs to causing the engine to work harder thus burning more fuel. Keep your car tuned up a dirty air filter can cause your fuel mileage to drop up to 20% or more! Worn spark plugs can drop your fuel mileage 10% or more. Be cautious of fuel additives or gimmicks that claim to increase fuel mileage Make sure to purchase your gas at the coolest time of the day when the gas is at its densest, you are charged by the volume of measurement as far as gas goes. Avoid Idling your engine for more than a minute, excessive idling can really use up the fuel. When you are driving act as if you have an egg between the bottom of your foot and your accelerator, this will reduce the lead foot syndrome that is if you have it! If you use your cruise control when possible this will help with fuel consumption as well. If you use your air conditioner it basically takes off 1 to 2 MPG so in my opinion you should go ahead and enjoy your A/C when it is hot out. If your vehicles cooling system has a lazy thermostat or it is stuck open this will cause too much fuel consumption in colder temperatures. You see your engine is designed to run at a consistent normal temperature and when it is unable to reach that temperature fuel mileage is compromised. If you notice that your heater in your car does not blow the heat it used to that could be the sign of a stuck open thermostat. When you get your antifreeze replaced it will be a good time to get that thermostat changed. Please know this that any vehicle will have fuel mileage drop considerably in the cold of winter. 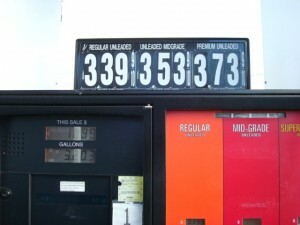 Using these tips mentioned will help your fuel mileage considerably. Thanks for your question Roy. « I was on the radio! WKBK 104.1 F.M Thank you Dan Mitchell!